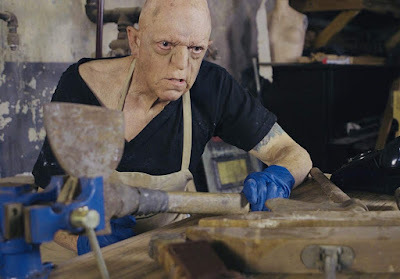 Horror icon Michael Berryman (Devil's Rejects, The Hills Have Eyes (1977), Weird Science) is currently filming a brand new horror movie called ROOM 9. Berryman will star as Jed Bedford in this film written and directed by Thomas Walton. David Raine and Brian Anthony Wilson. The film is currently filming in Pennington, New Jersey & small parts of Upper Darby, PA.
Life altering sins of the past revisit lost souls in a small town... 40 years later!